The men – many with violent histories – gently manoeuvre bits into the mouths of mustangs still unaccustomed to human touch; they remove caked mud from hooves and tighten girths against bulging bellies. 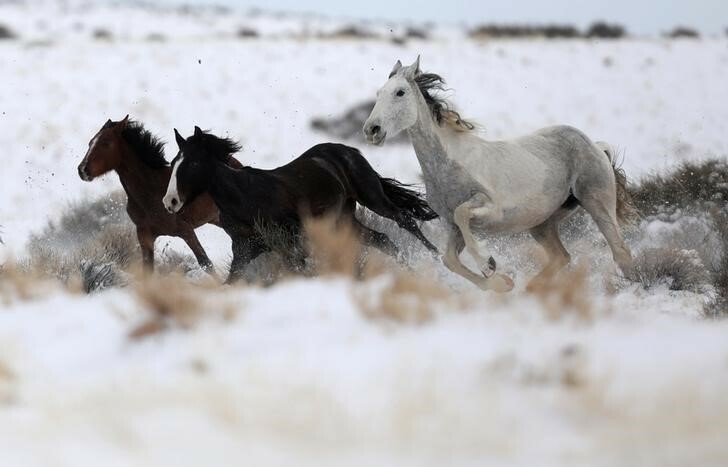 And the horses, which just weeks ago roamed free, mostly comply with what is asked of them. 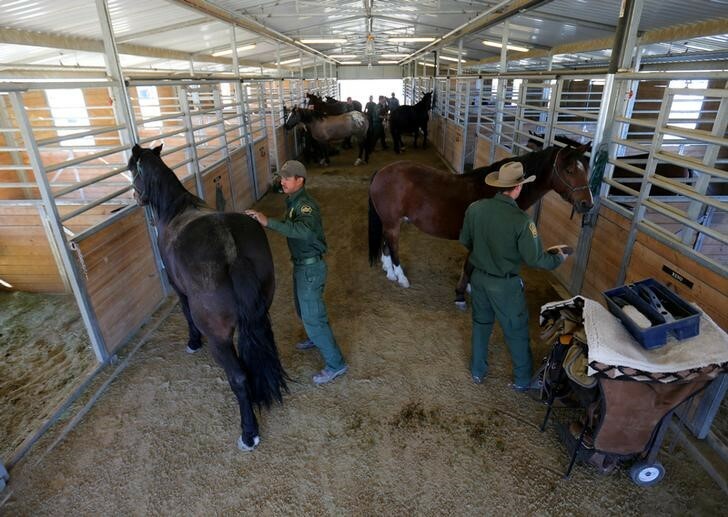 At least 80 percent of the U.S. Border Patrol’s current stable of 400 horses come from inmate training programs in Arizona, Colorado, Kansas and Nevada. 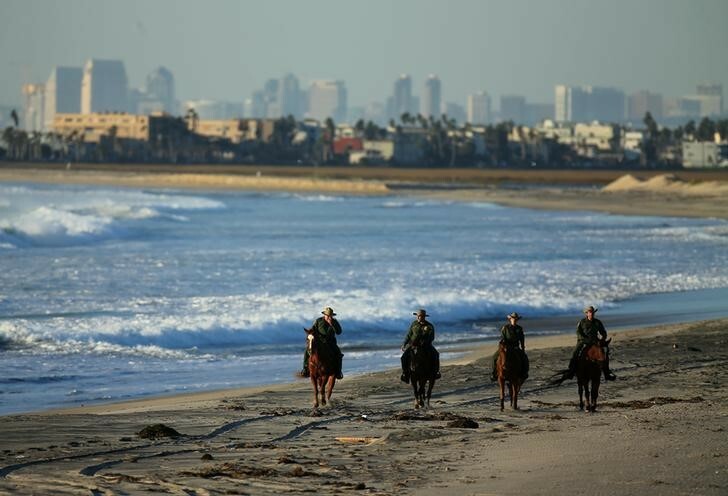 The horses are critical for patrolling the rugged and remote stretches of the Mexican border to detect illegal crossings by migrants and drug trafficking. 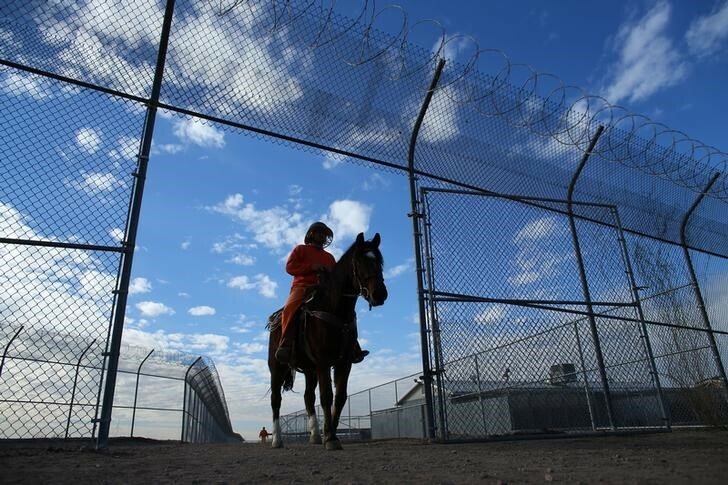 At the prison in Florence, a cactus-dotted town about 140 miles north (225 km) of the Mexican border, participating prisoners round up their horses before dawn and work all day under the watchful eyes of Randy Helm, the third-generation rancher, former narcotics officer and self-proclaimed “cowboy preacher” who supervises the programme. 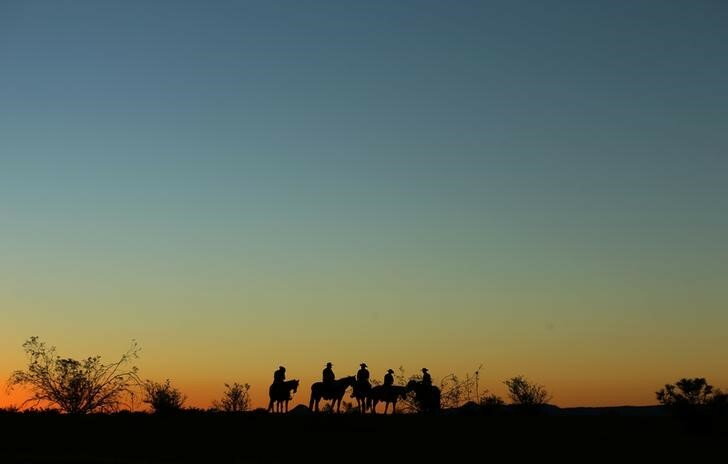 Over the course of four to six months, the men train their horses – with names like Billy, Rocky and Patches – to tolerate bridles and saddles, respond to commands to trot and canter and perform footwork that will come in handy on the uneven desert terrain along the border. Helm, 62, teaches the men not to “break” the horses, but to “gentle” them. 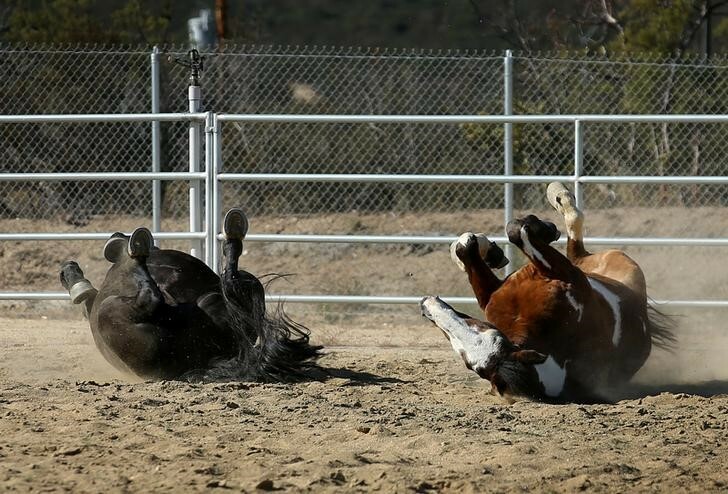 The method relies on incremental steps and rewarding the horses for good behaviour. Any inmate that raises a hand to a horse gets booted from the programme. “I kind of need this,” he said. Most prisoners who apply for the programme don’t have experience with horses, and Helm prefers it that way. They tend to be gentler with the animals. 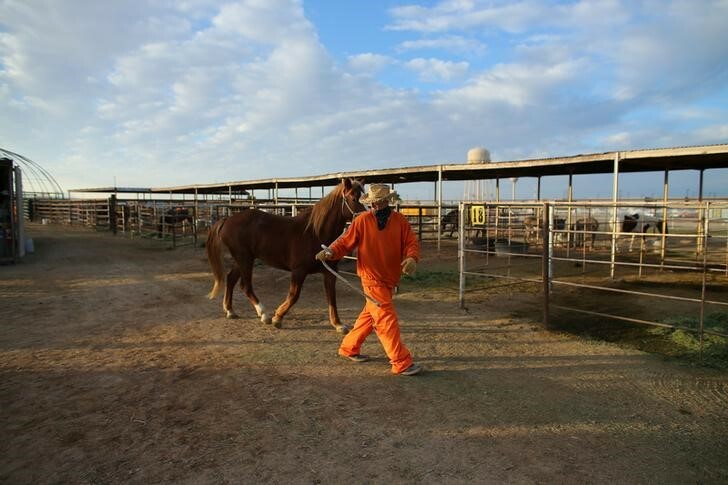 Florence began its horse training programme in 2012, and while it is too early to assess the long-term effects on participating inmates, of the 50 or so who have gone through it and been released, none has returned to prison, Helm said. The national recidivism rate is about 68 percent within three years of release. Helm says he sees real transformations in inmates who stay with the programme. U.S. Border Patrol adoptions are key to the government’s effort to stem the nation’s growing population of mustangs. 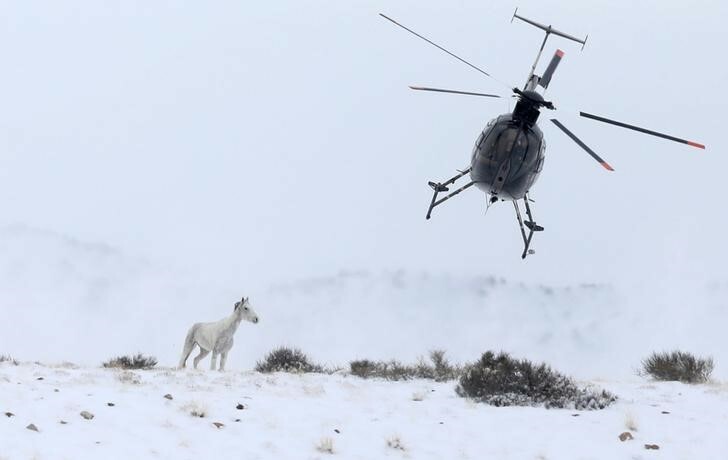 A federal law passed in 1971 tasked the Bureau of Land Management with managing wild horse and burro populations in the American West, both to protect the animals and to ensure that vegetation was not overgrazed and water sources depleted. The border is an unforgiving place; just 654 miles of fence exist between the United States and Mexico, accounting for about a third of the border. 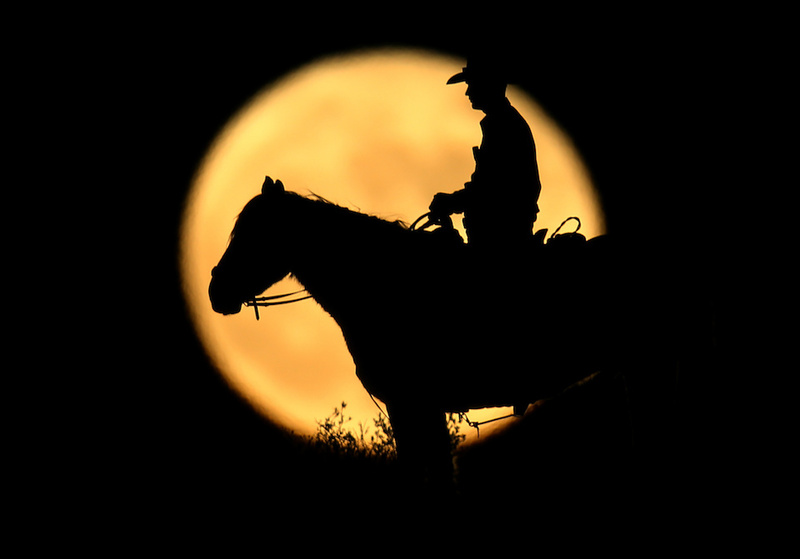 The rest is defined by mountains, rivers, private ranches and wild country – terrain more suited for horses, which all agents had back when Border Patrol was founded in 1924. 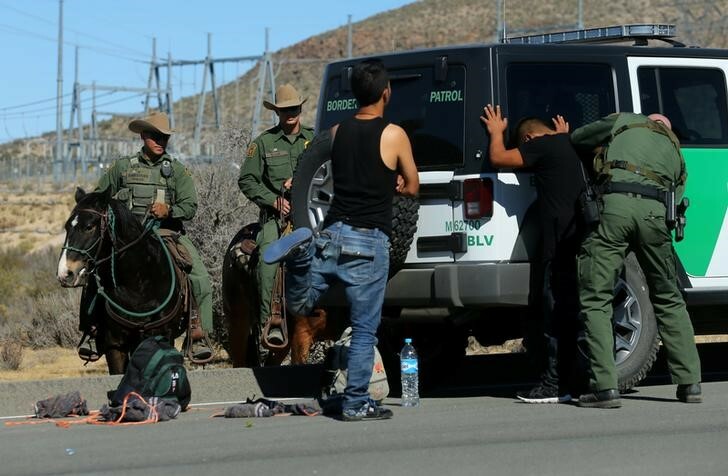 The task of the Florence inmates who train the horses is, at times, thick with irony: Some are Mexican nationals, apprehended on the border for drug-related offences. The inmates, though, say they don’t mind that the horses help law enforcement. They are simply happy the animals no longer face thirst and starvation in the drought-stricken West.